Nothing says warm weather like sitting under a tree with a plethora of tasty tidbits and yummy dishes spread out over a picnic blanket. 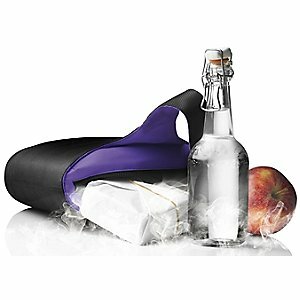 Check out a few of the latest in modern accessories for enjoying a great picnic outside! 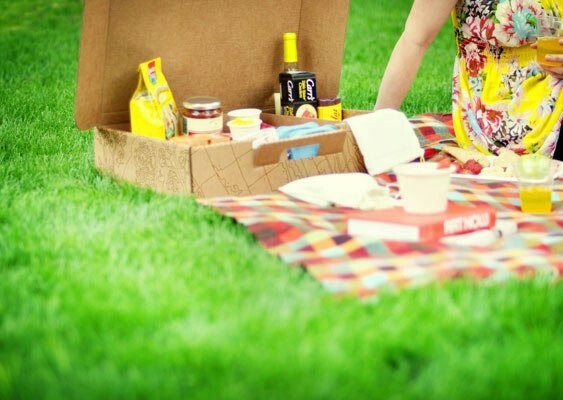 Nothing says “summer” like tasty tidbits and yummy dishes spread out over a picnic blanket. I’ve roped together a few of the latest in modern accessories for enjoying a great picnic outside, so take a look and get out! 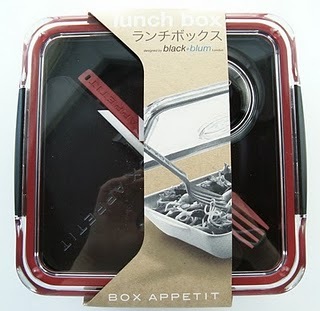 Box Appetit Lunch Box by Black and Blum– A great modern bento for easy storage of the main dish, side dish and dressing. 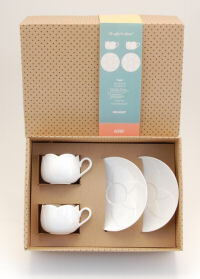 Tulip Tea Cups with Saucers by Alessi – Oh so Willy Wonka, these tea cups add a touch of magical sweetness to an afternoon in the park. 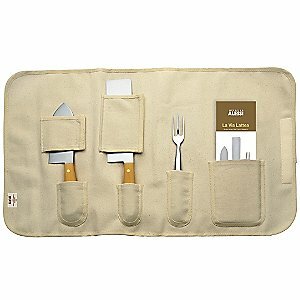 La Via Lattea Set of Soft or Hard Cheese Knives by Alessi – Cut it up with this set of hand-forged stainless steel knives, each signed by its maker, and make sure to read up while snacking — this set also includes a guide to cutting and tasting European cheeses. Bottle Opener by Brendan Ravenhill for Areaware – A little kooky, a little rustic. Perfect for an outdoor party. 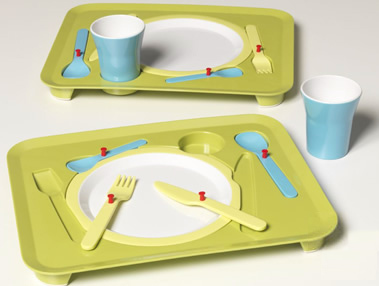 Puzzle Tray by Royal VKB – Here’s one for the kids, and everything’s included. Now there will be no guessing what piece was left behind! Secret Fish Storage Box by Alessi – A great container for crackers, peanuts, or whatever grabs your fancy. Part of the OrienTales collection, the Secret Fish is a contemporary spin on the 18th century ceramic trinket. Comes in Red, Blue or Green. Cool Lunch by Menu – New from Menu, the Cool Lunch keeps everything from bottles of wine to that deli sandwich cool and dry in this lightweight, pack and go cooler. Just place the inner gel pack in the freezer for an hour and you’re set! 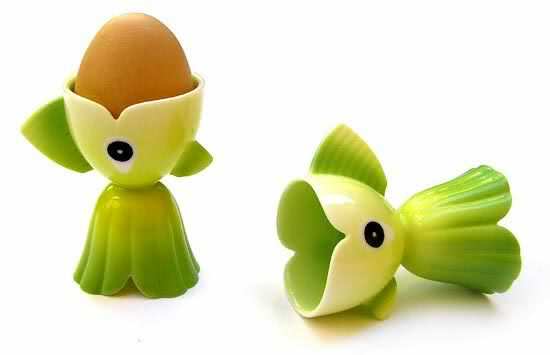 Goldfish Egg Cup by Alessi – A boiled egg never looked so appetizing! 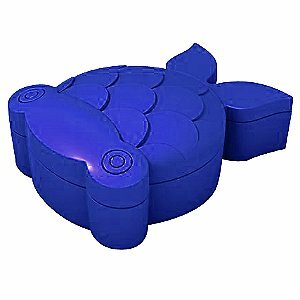 This classic treat is given a contemporary facelift with this fun and functional piece perfect for the outdoors. Available in 3 cheerful colors.